This 300 keV cryo-electron microscope is equipped with a 4k x 4k Gatan K2 Summit direct electron detector, a high-precision stage for fast tilt-series acquisition, and a Volta phase plate. 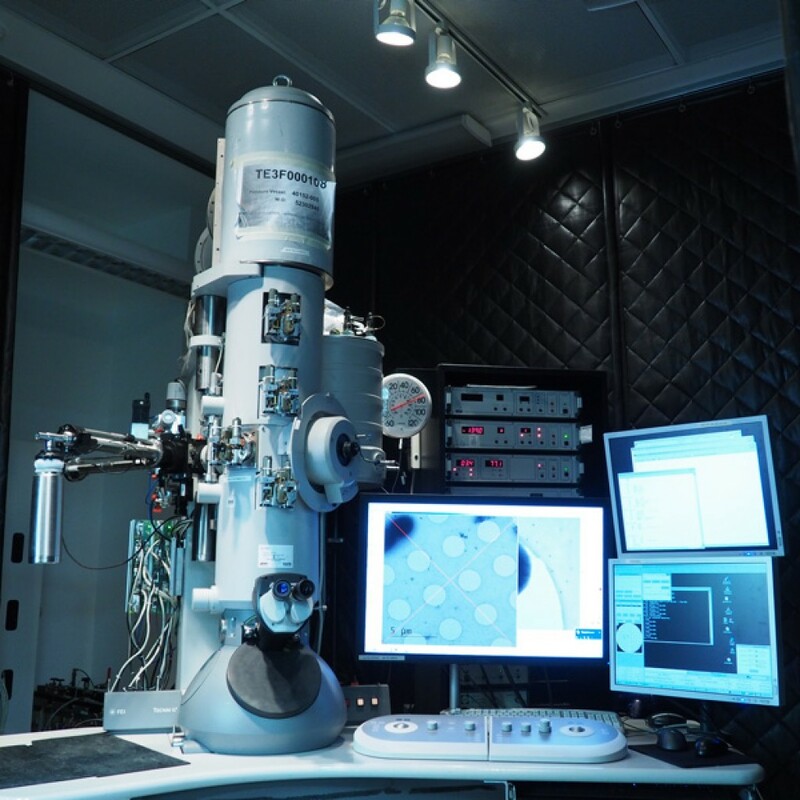 It represents the current state-of-the-art for tomography and single particle cryo-EM. 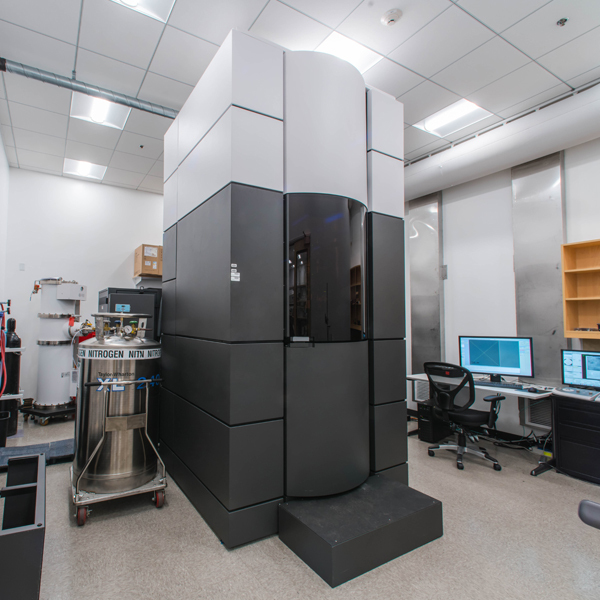 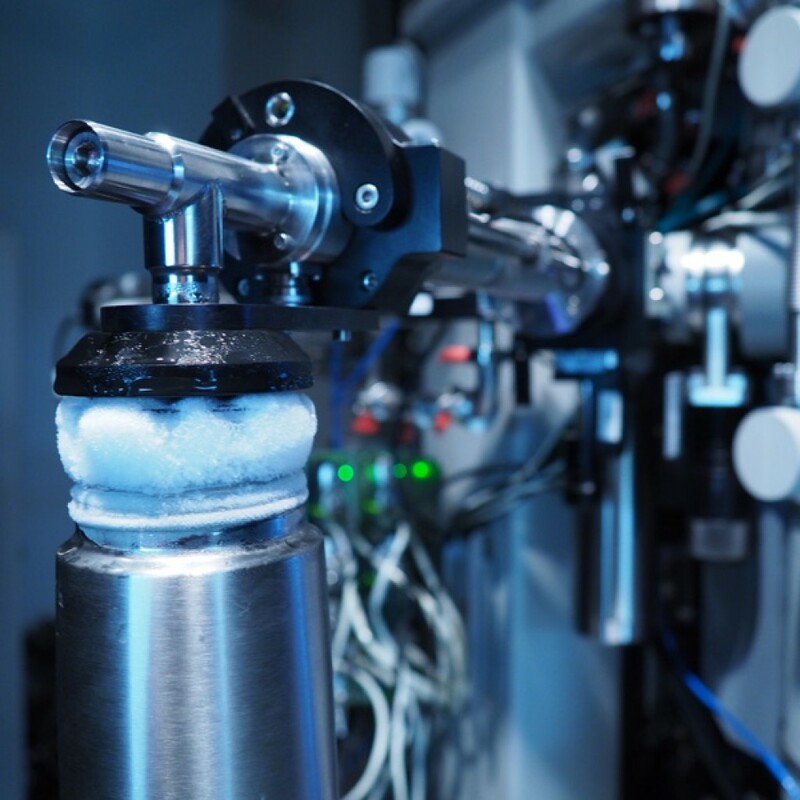 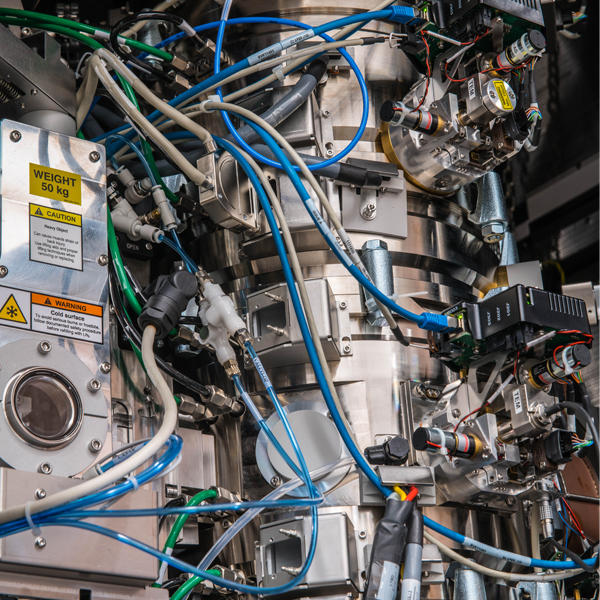 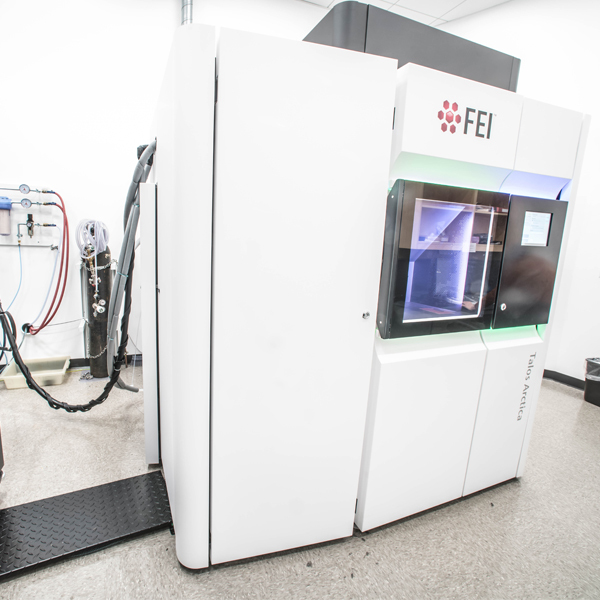 This 200 keV cryo-electron microscope is equipped with a field emission gun and a 4k x 4k Gatan K2 Summit direct electron detector for screening, tomography, and single particle cryo-EM. 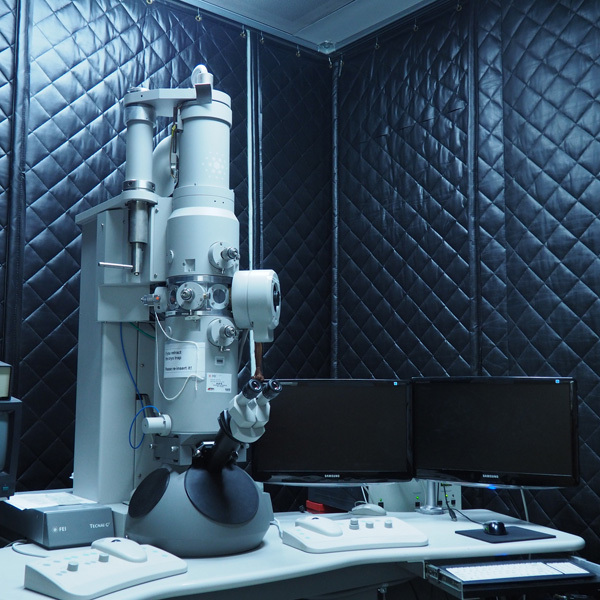 This 300 keV cryo-electron microscope is equipped with a 4k x 4k Gatan K2 direct electron detector positioned behind a Gatan GIF energy filter for tomography of whole cryo-preserved cells. 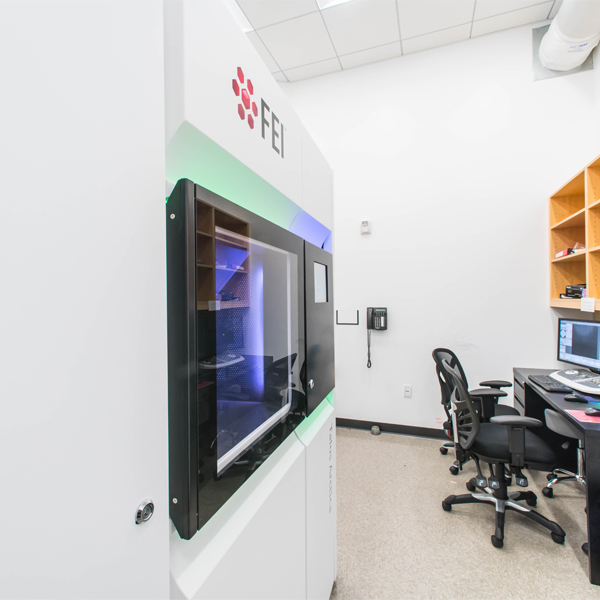 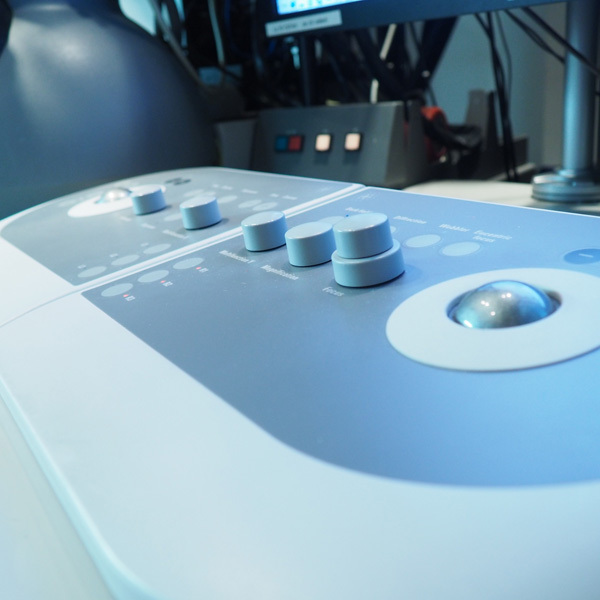 The T12 is a 120 keV workhorse that is used for negative stain imaging, tomography of tissue sections and screening cryo-preserved specimens. 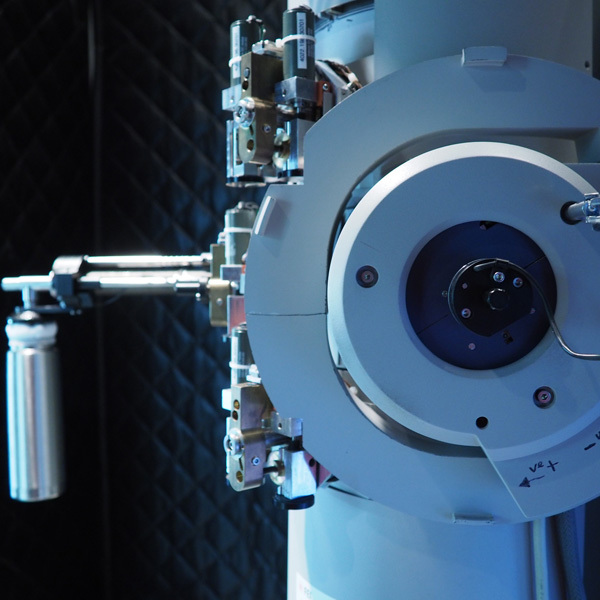 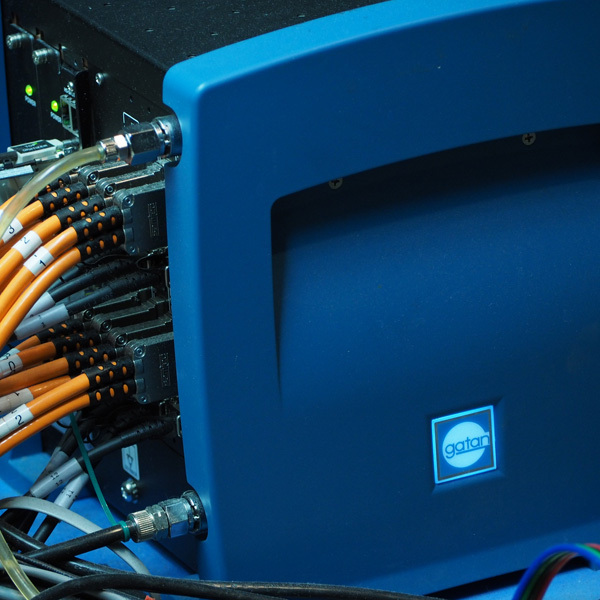 It is equipped with a Gatan CCD camera. 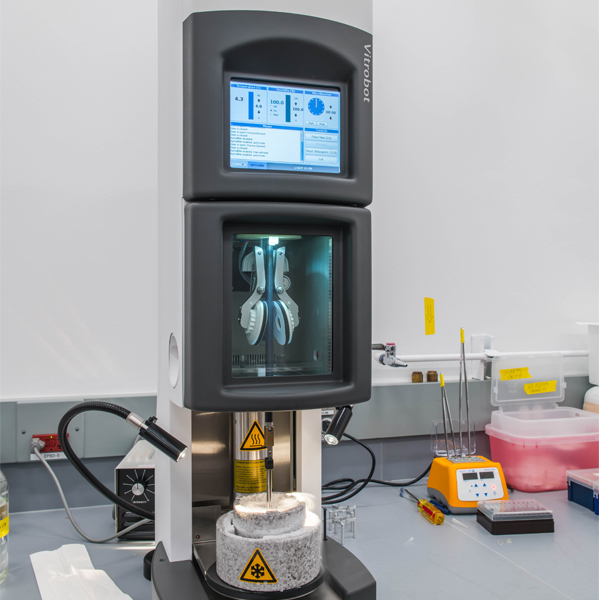 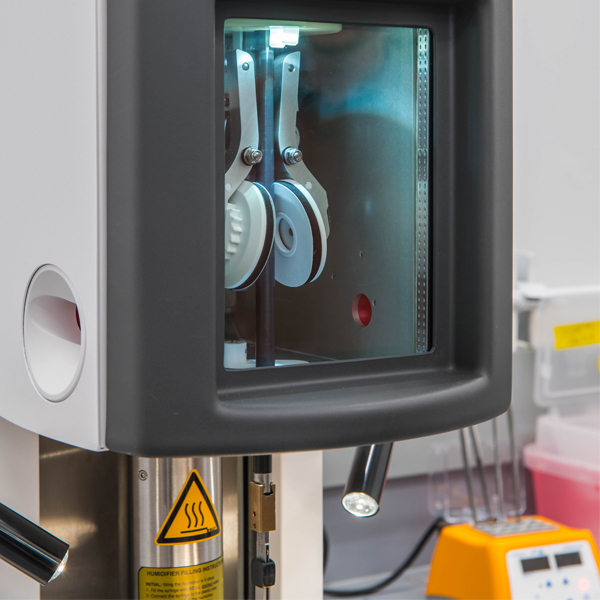 A pair of Vitrobots are used for automated plunge-freezing of samples for cryo-EM. 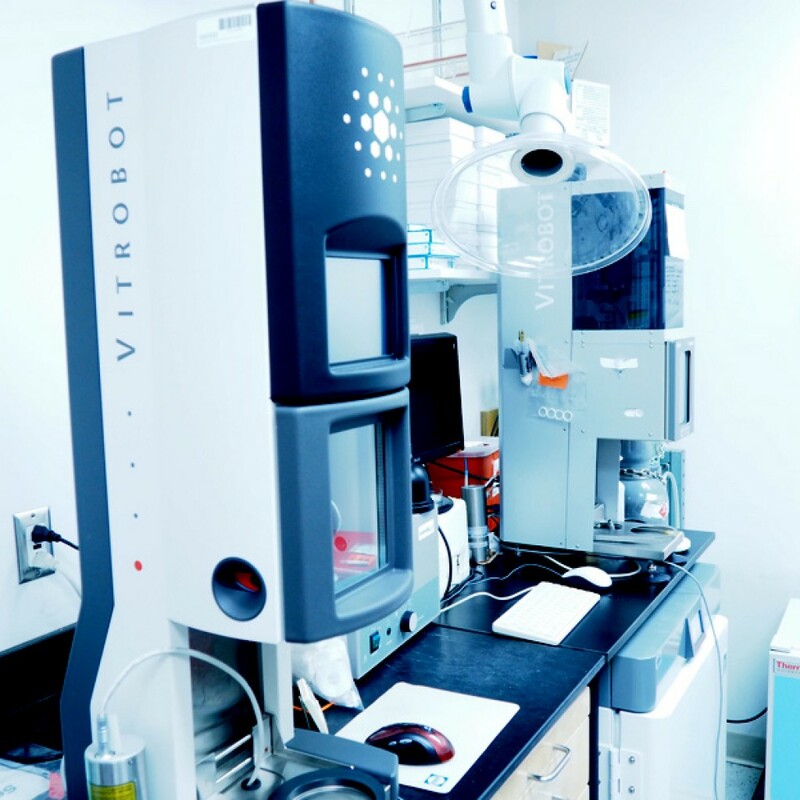 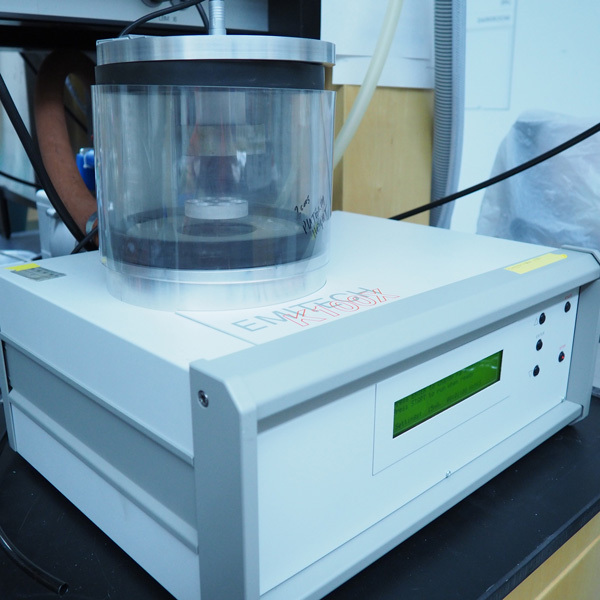 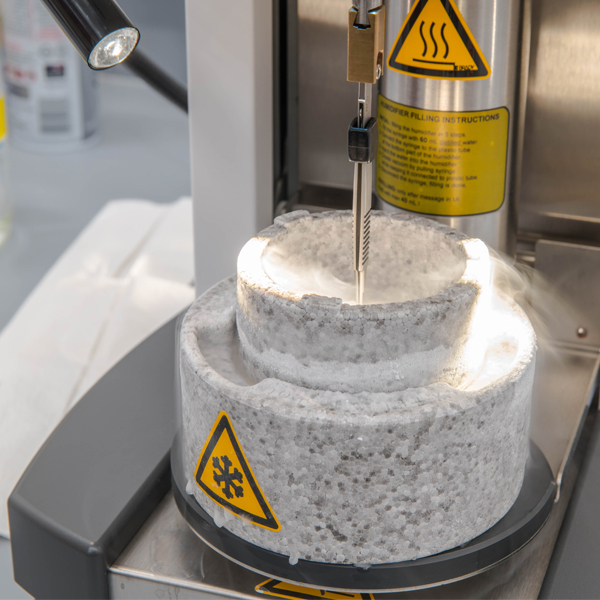 The glow discharger is used to prepare a hydrophilic surface on EM grids before sample application and plunge-freezing with the Vitrobot. 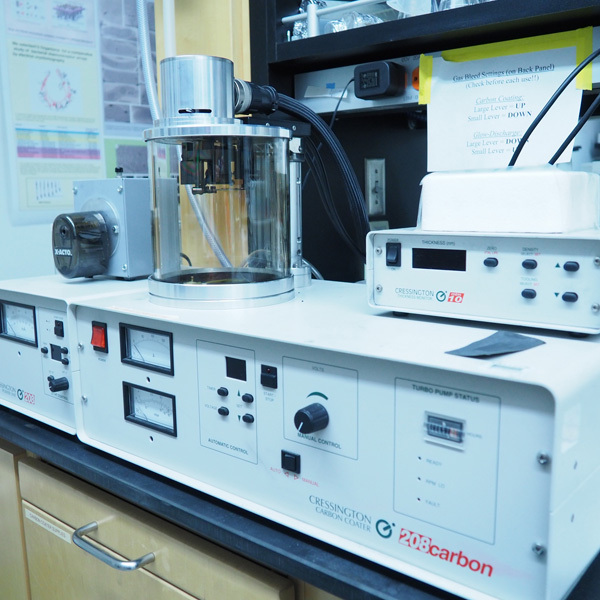 Because sometimes you just need to evaporate carbon onto some things.